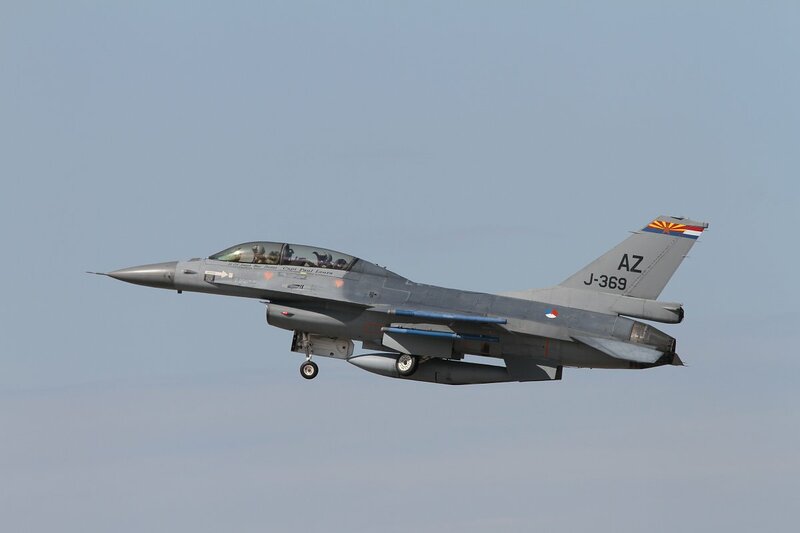 On a special trip with 4Aviation, me and 10 other aviation enthousiasts, departed Amsterdam Schiphol for Phoenix airport on Thuesday 8 July. 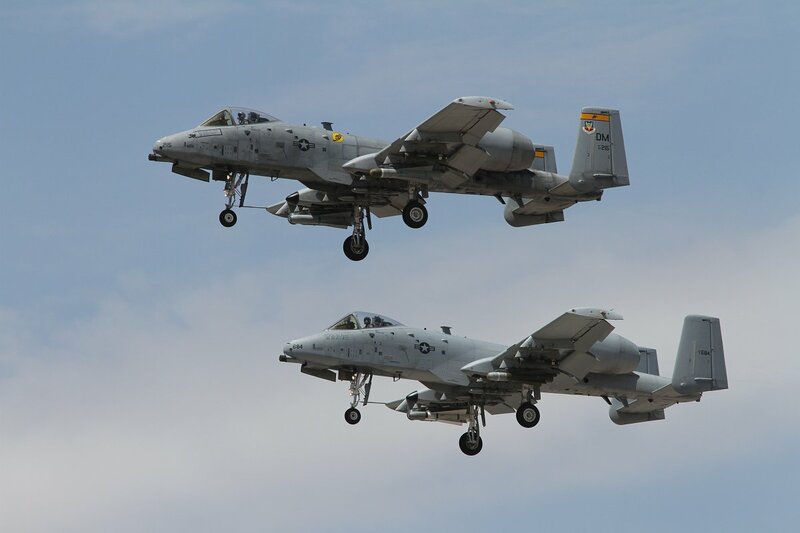 Main goals were Hawgsmoke 2014 and Red Flag at Nellis AFB (see other report on this website). 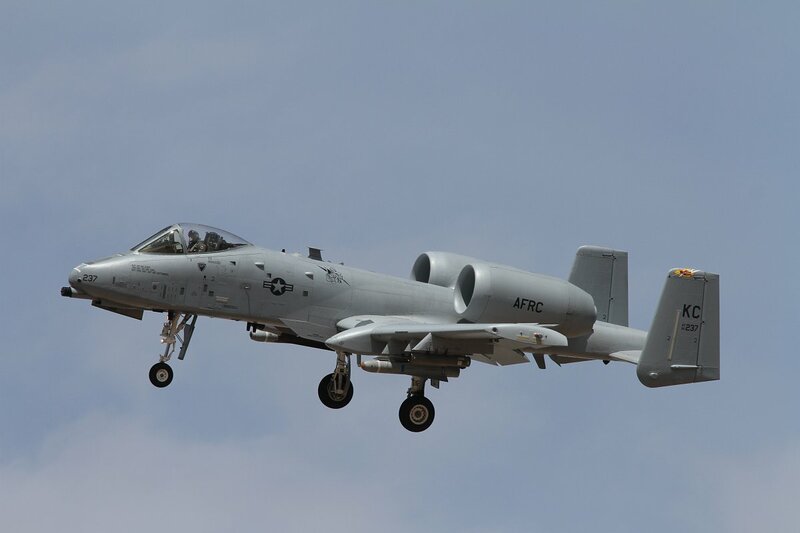 We would stay for 4 days in the Davis-Monthan/Tucson area, having enough opportunities to photograph the A-10s from the participating units. 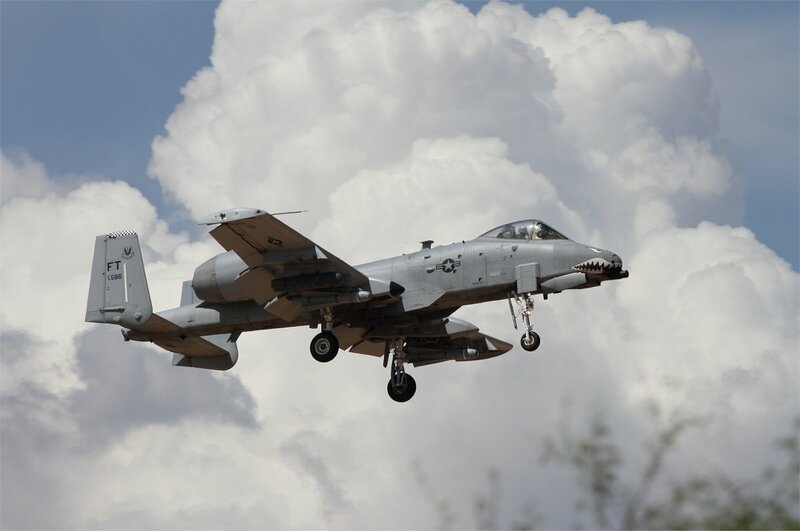 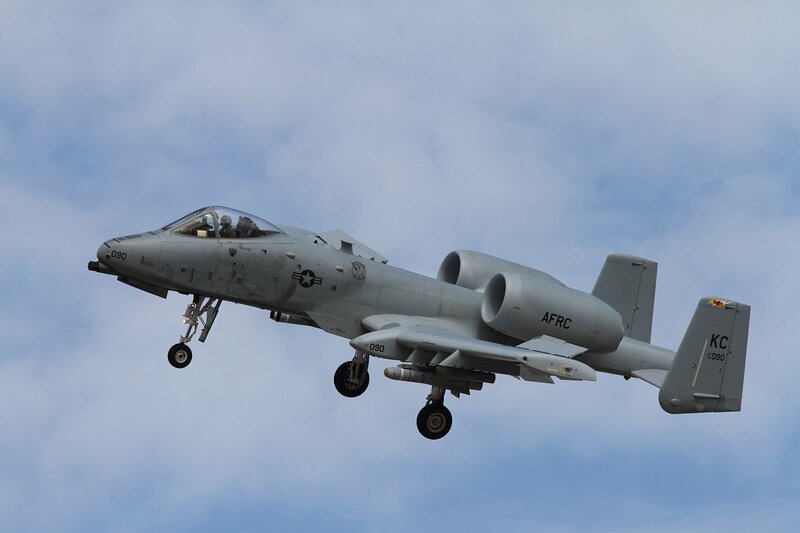 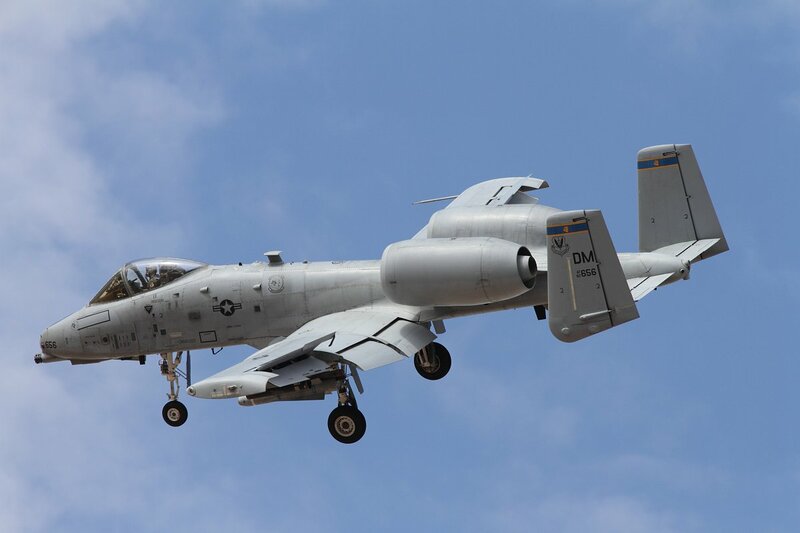 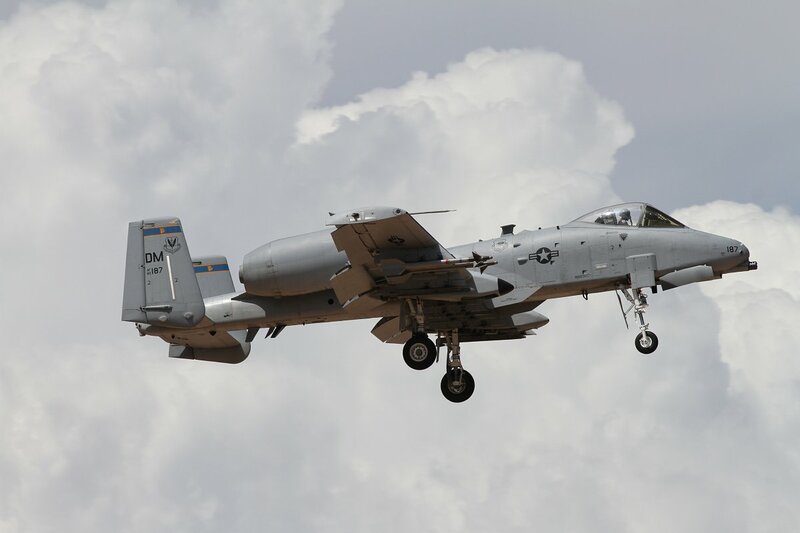 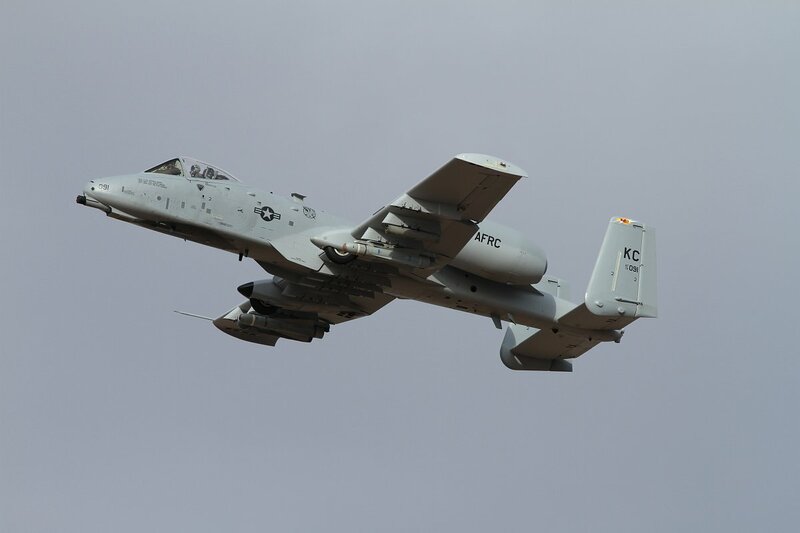 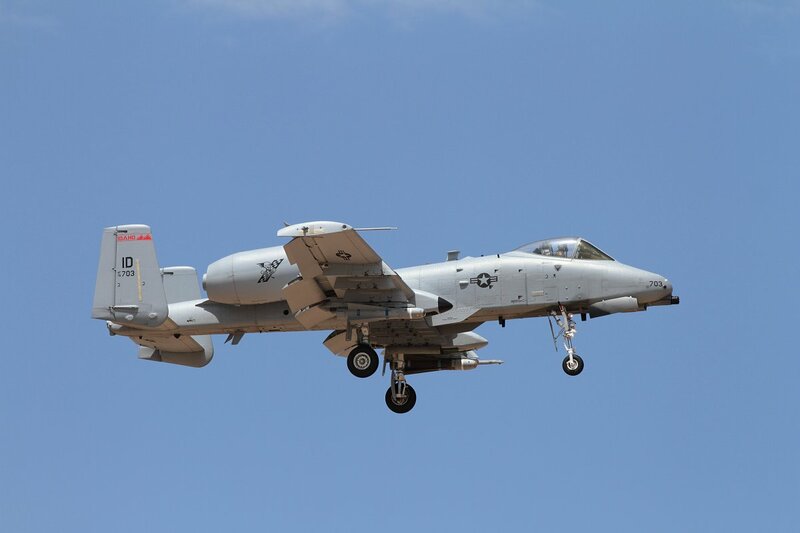 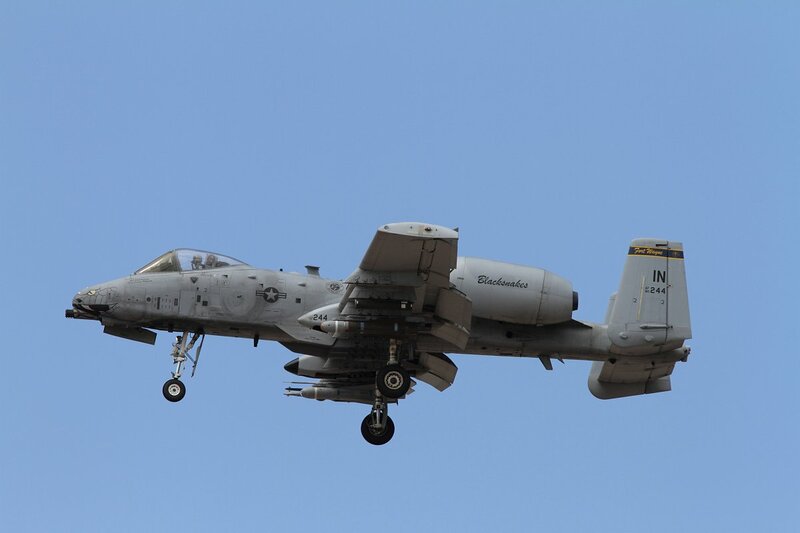 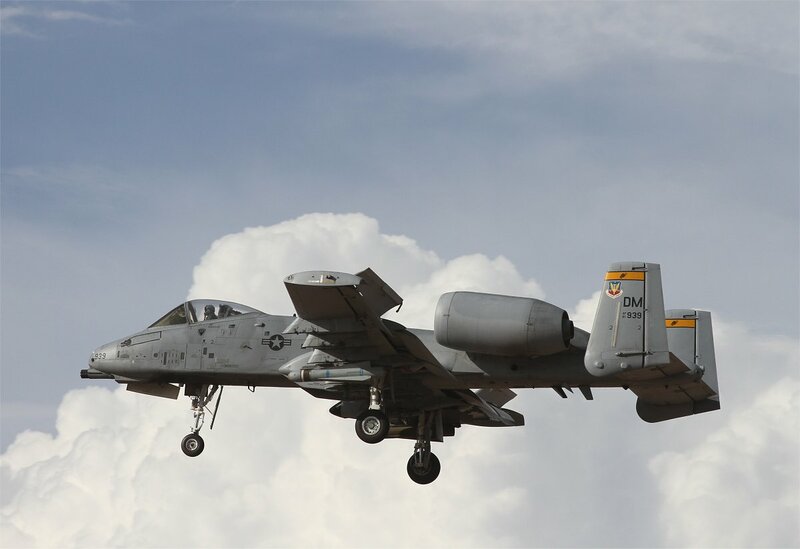 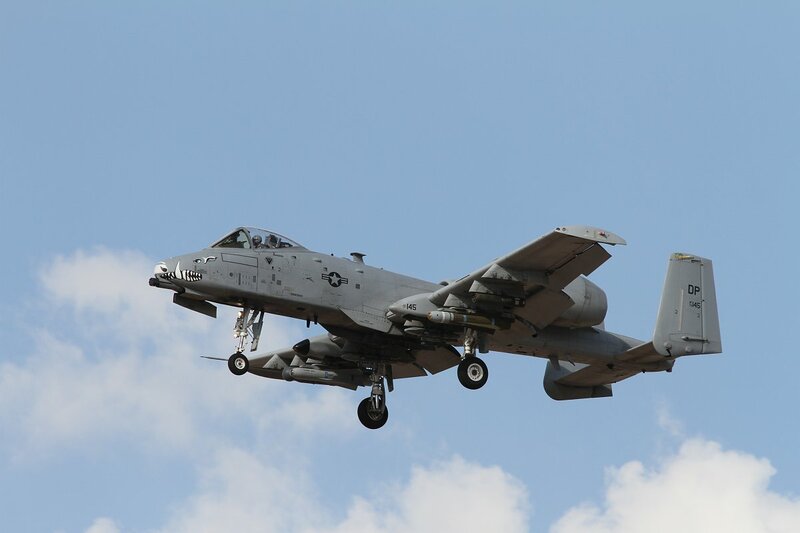 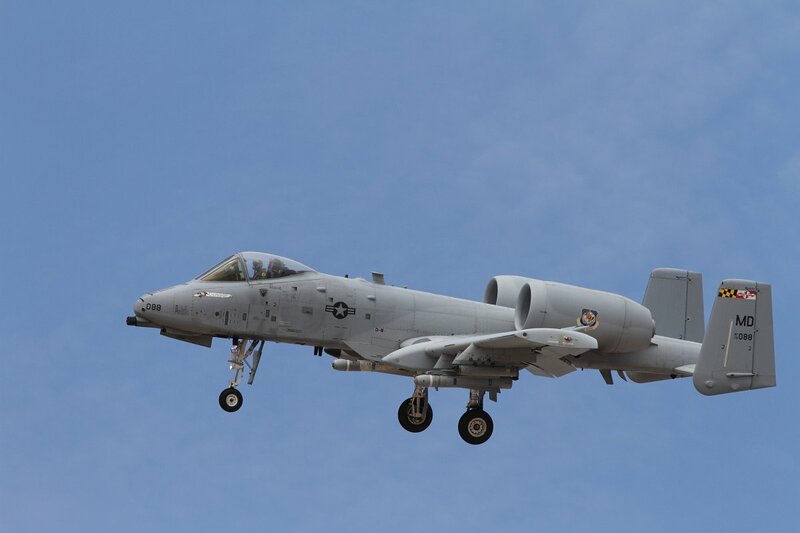 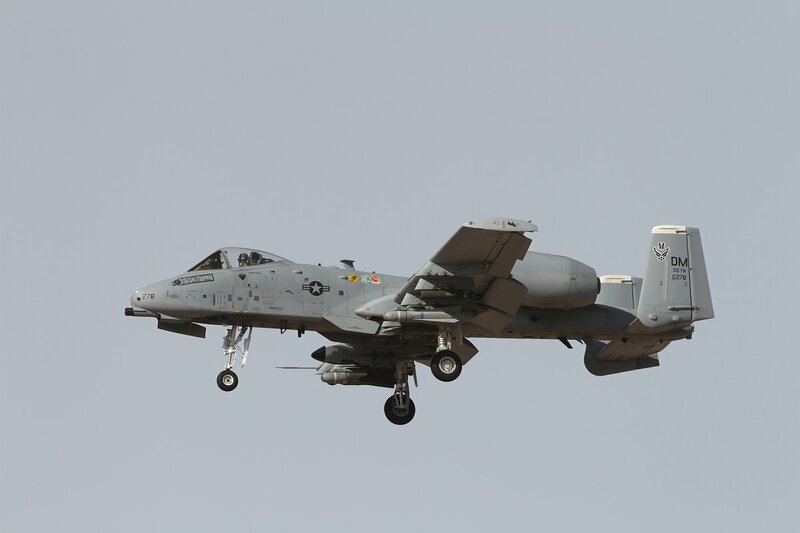 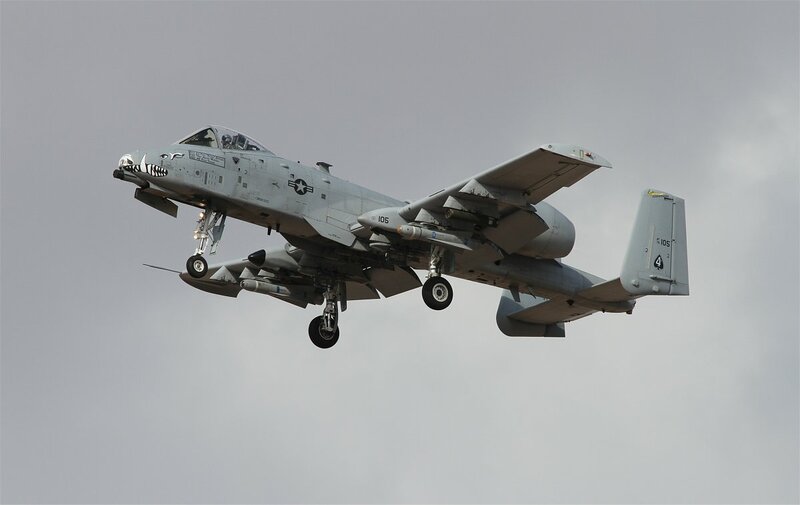 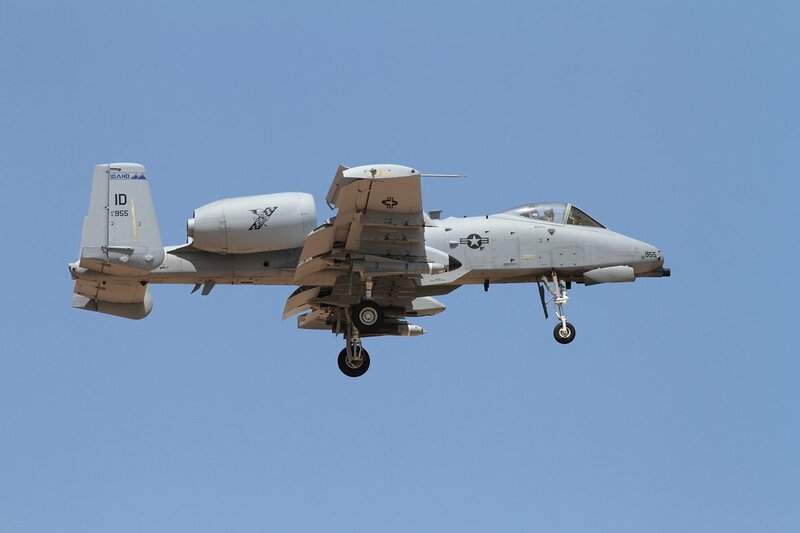 The 355th Fighter Wing, with home base Davis Monthan AFB, Arizona, hosted 14 A-10 teams from around the world for Hawgsmoke 2014, which took place from July 9-12. 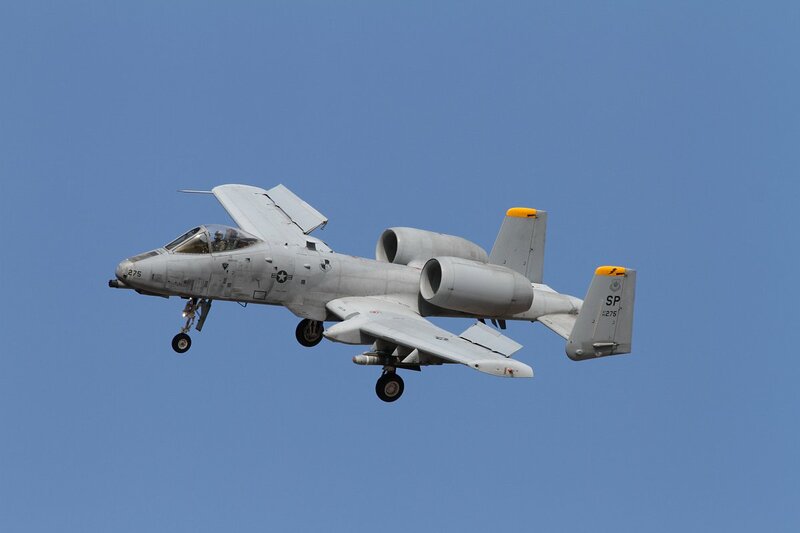 The former Hawgsmoke 2012 competition was also hosted at Davis-Monthan AFB. 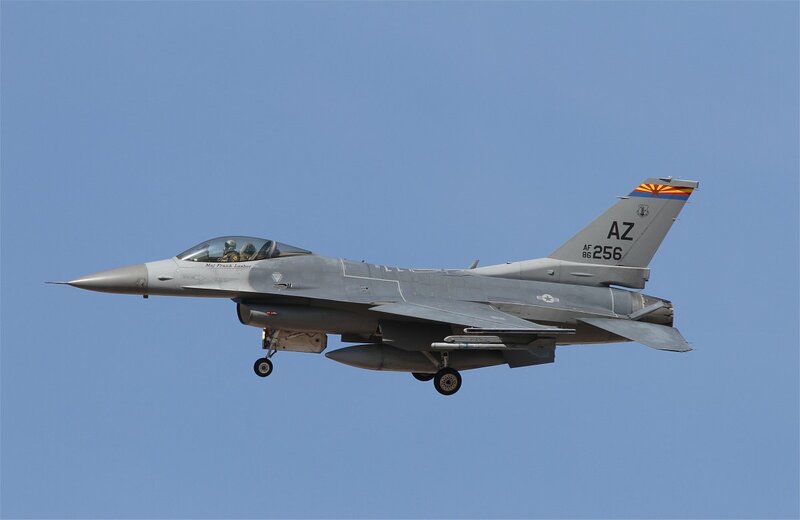 Since the 357th Fighter Squadron (The Dragons) finished 1st place in 2012, Davis Monthan earned the honor of hosting the 2014 competition again. 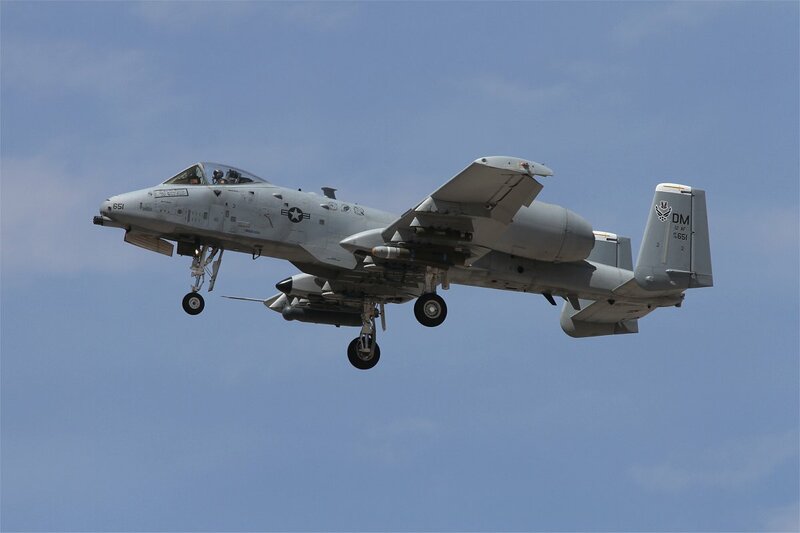 Hawgsmoke is a biennial worldwide A-10 bombing, missile and tactical gunnery competition, which was derived from the discontinued “Gunsmoke” Air Force Worldwide Gunnery Competition. 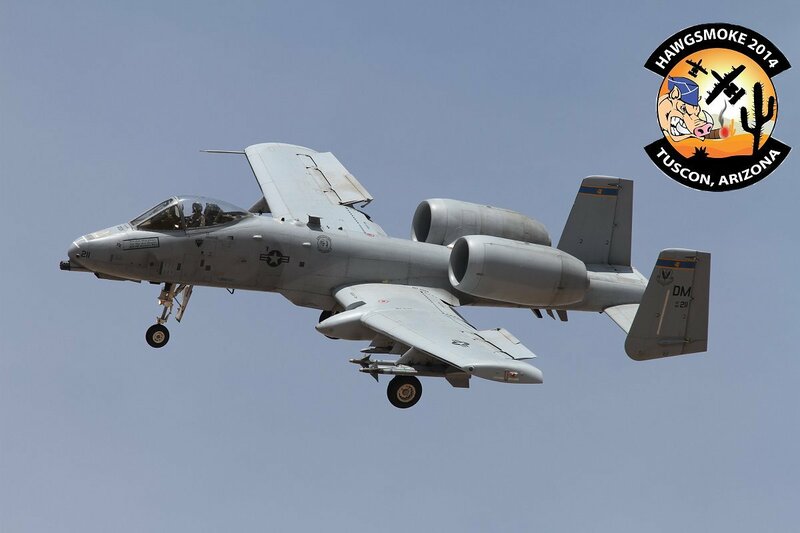 This competition is an opportunity for camaraderie, fellowship of the world’s premier Close Air Support fighter, and a legacy of its pilots and support crews. 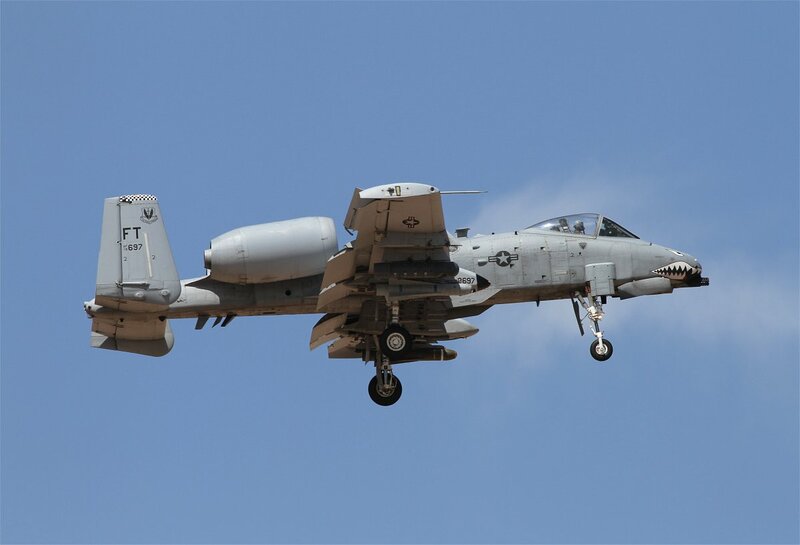 The purpose of Hawgsmoke is to have A-10 pilots fly and compete against the best Warthog pilots in the Air Force and remembering fallen comrades from the A-10 community. 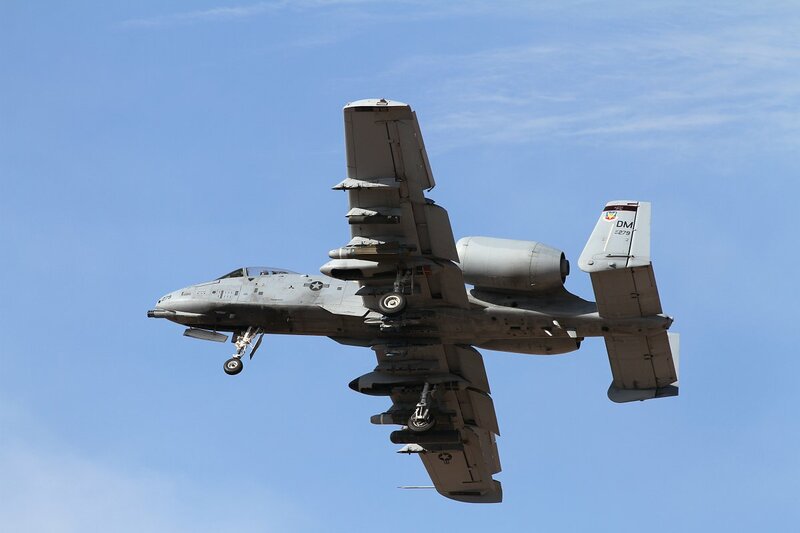 Usually Hawgsmoke takes place over two days and includes team and individual scoring of strafing, high-altitude dive-bombing, 30-degree dive-bombing, Maverick missile precision, and team tactics. 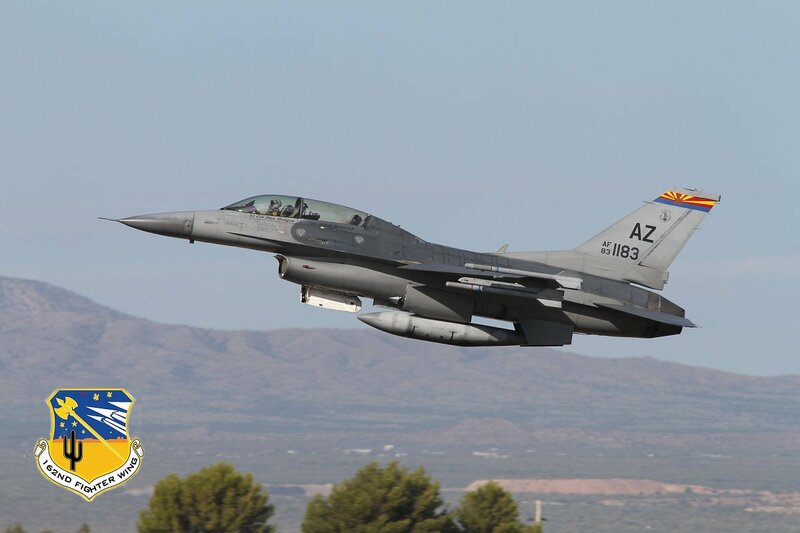 But this year’s competition focused more on forward firing. 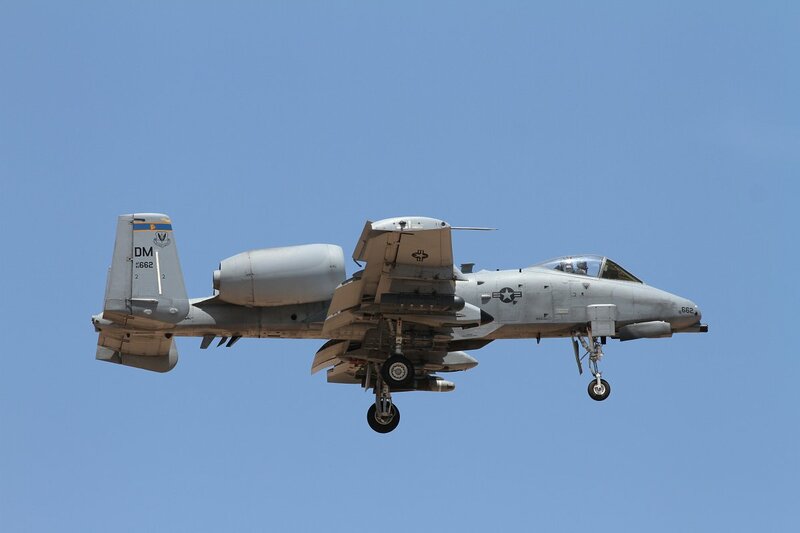 So Hawgsmoke 2014 would use the Warthogs GAU-8/A Avenger 30mm cannon only – no rockets or missiles. 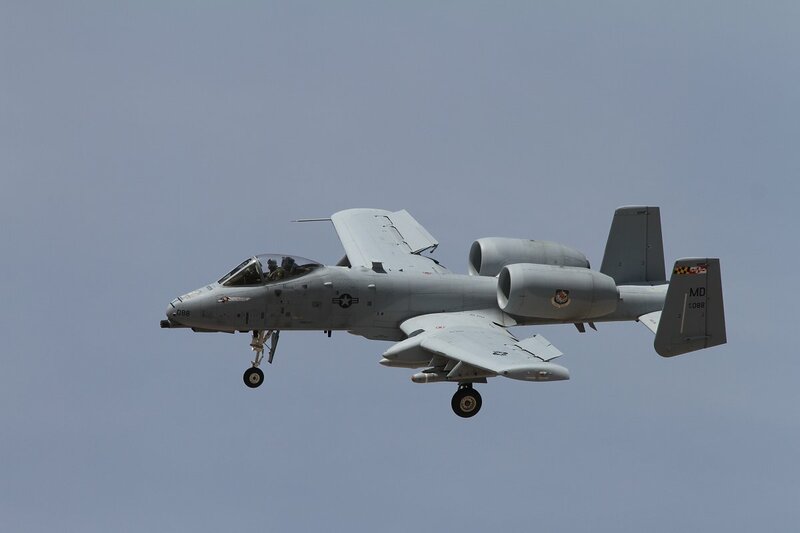 To increase the challenge, the Avenger cannon would be used in the “manual mode” of delivery. 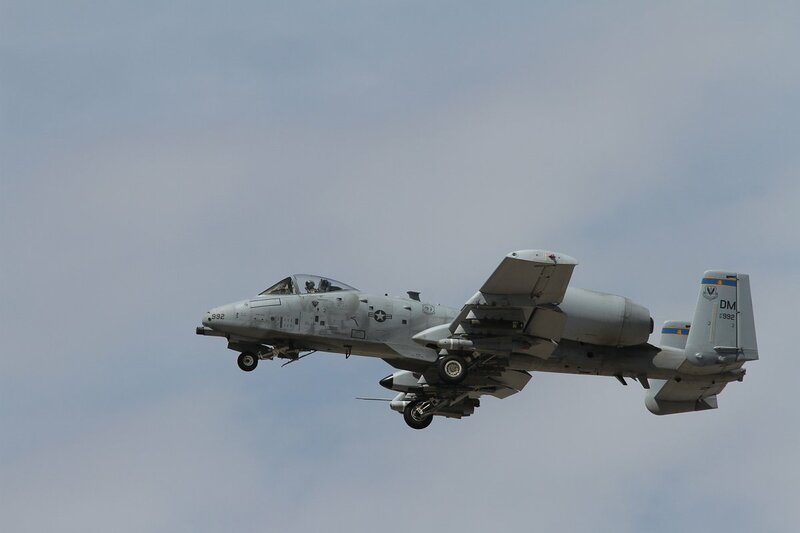 Hawgsmoke 2014 was kicked off Wednesday July 10th by a remembrance ceremony in honor of all fallen A-10 pilots. 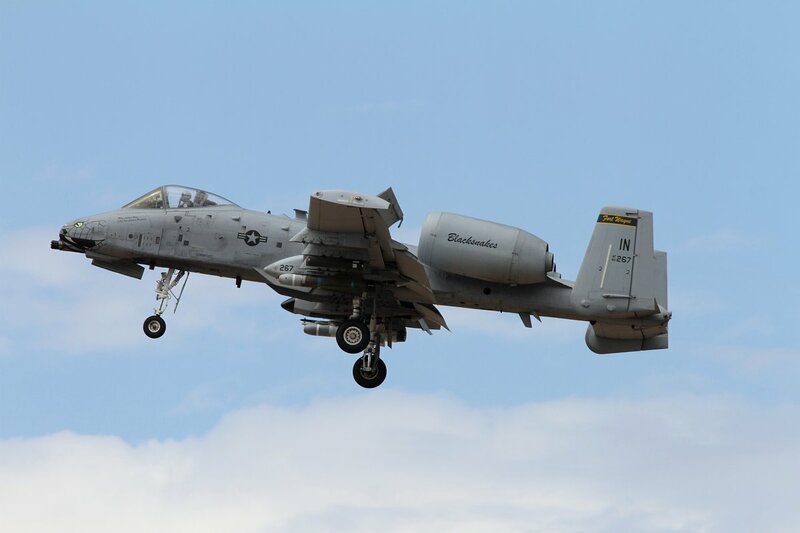 The next day, the gunnery competition itself started, so time for the pilots to gear up and show the judges their skills. 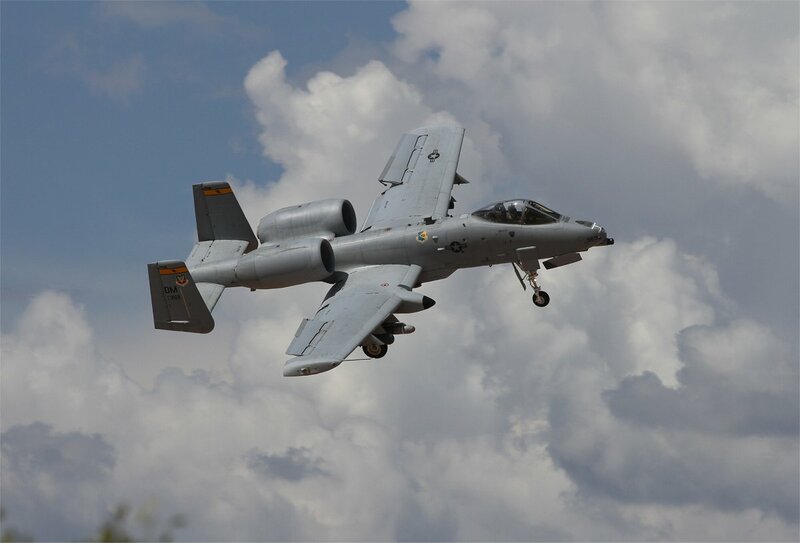 This year’s competition was held at the Barry M. Goldwater Range II. 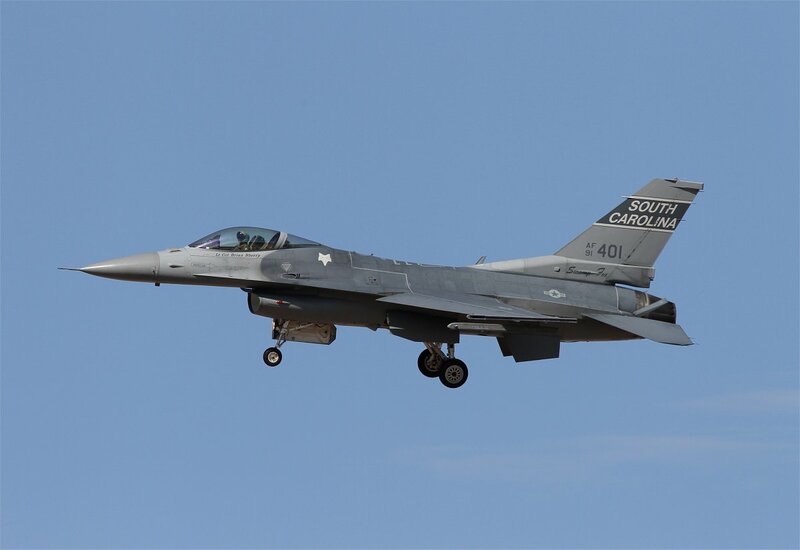 Before the competition started, pre-positioned cameras and acoustic panels were set up to accurately calculate each pilots score. 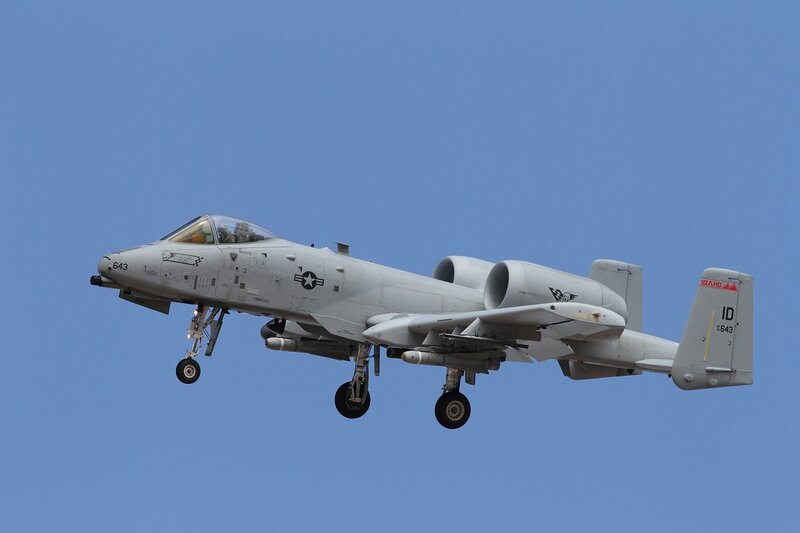 Each pilot was given the same amount of ammunition and were scored on their execution of the A-10 Thunderbolt II maneuvers, as well as their accuracy with the high, medium and low angle strafes. 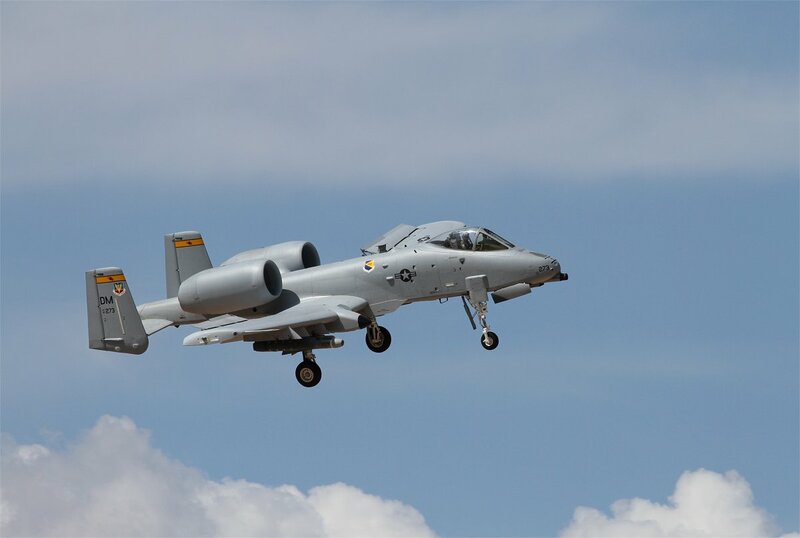 The winner of the Hawgsmoke 2014 competition was the Air Force Reserve Command’s 47th Fighter Squadron, also based at Davis-Monthan AFB. 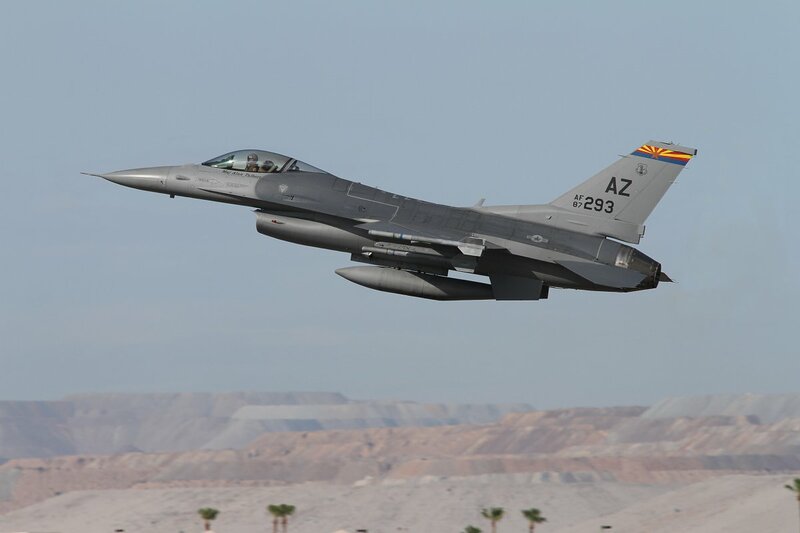 The squadron falls under the operational control of the 924th Fighter Group. 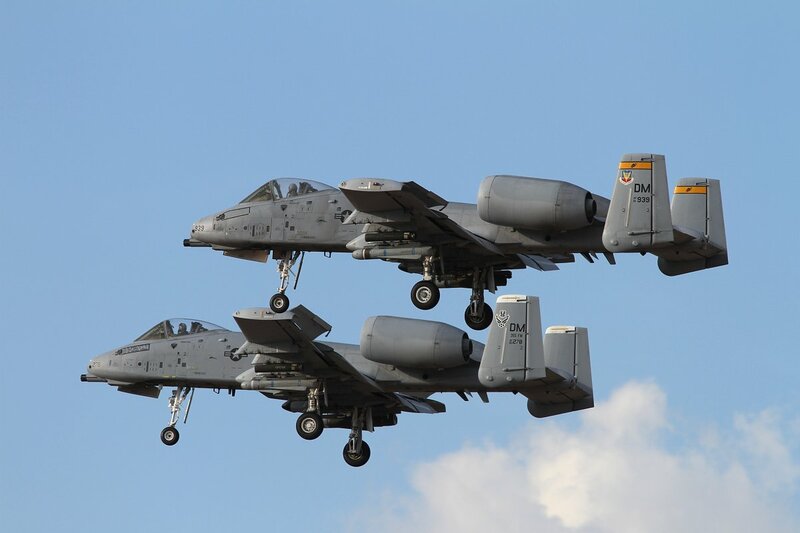 So it looks like Hawgsmoke 2016 will be returning to DM! 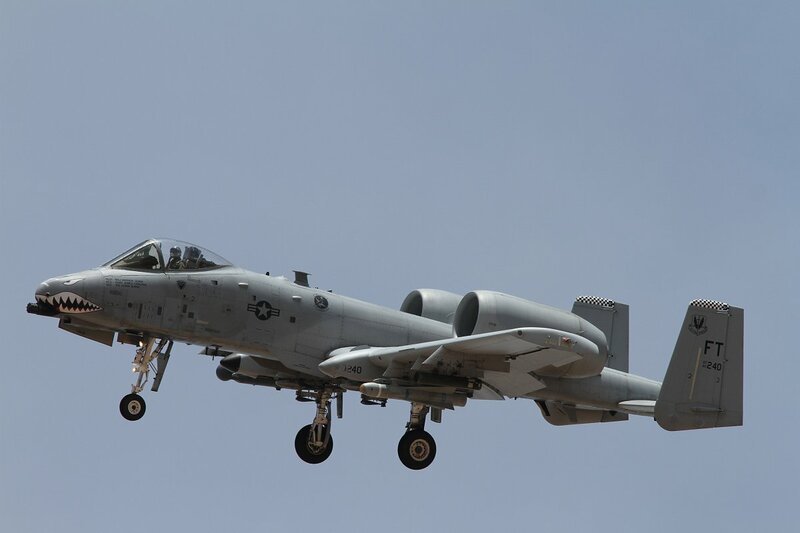 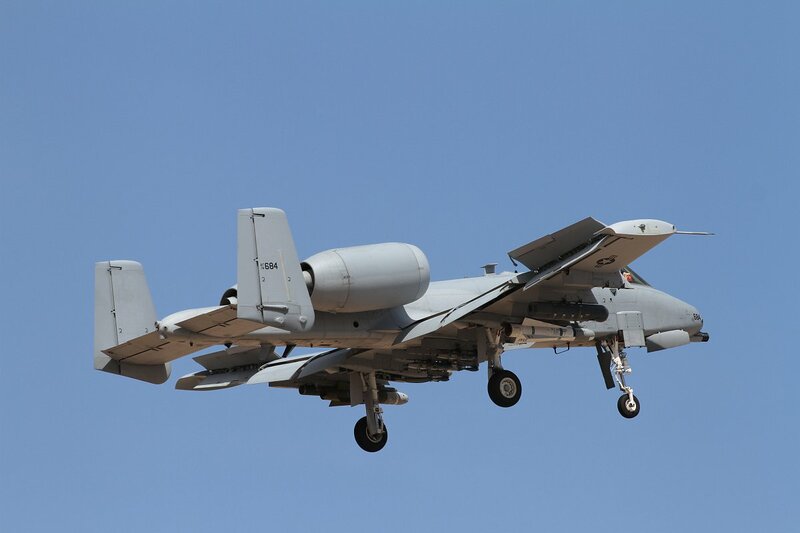 The US Defense Department plans however, to put the A-10 on the chopping block and eliminate the entire fleet, makes an upcoming Hawgsmoke competition in 2016 far from certain. 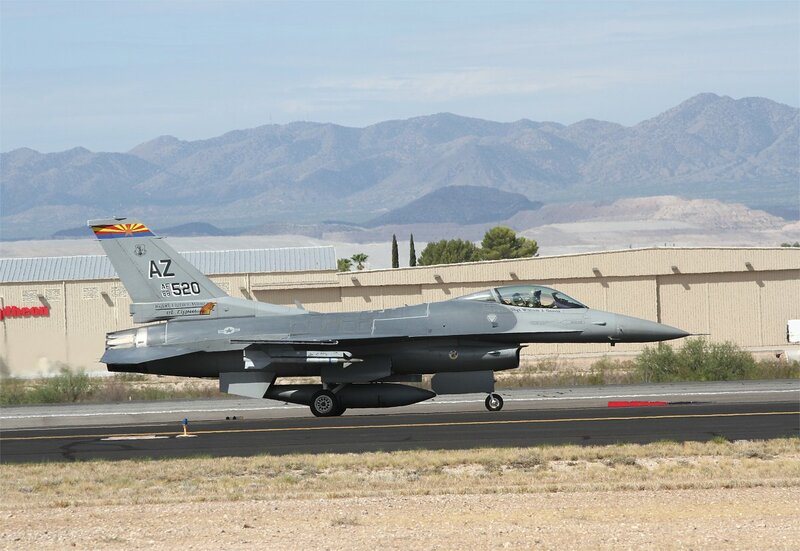 During our stay in the Davis-Monthan/Tucson area, we also made a visit to Tucson Int. 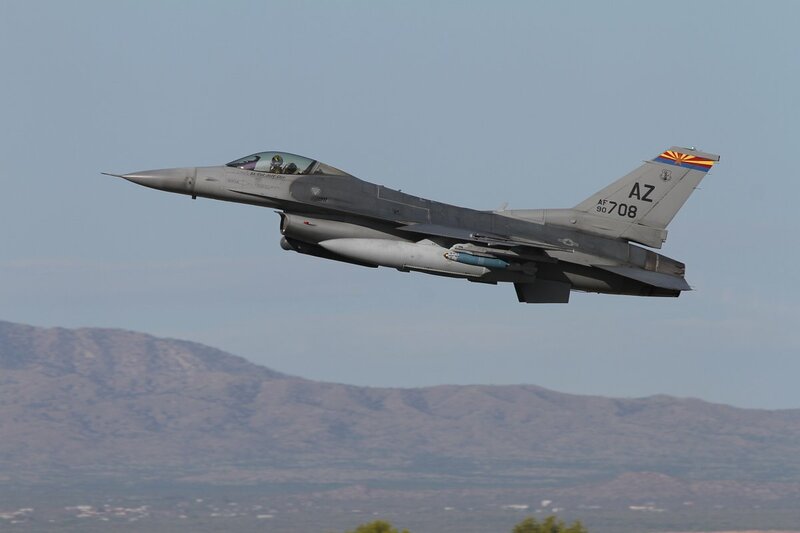 Airport, to see the F-16s of the 162nd FW of the Arizona Air National Guard. 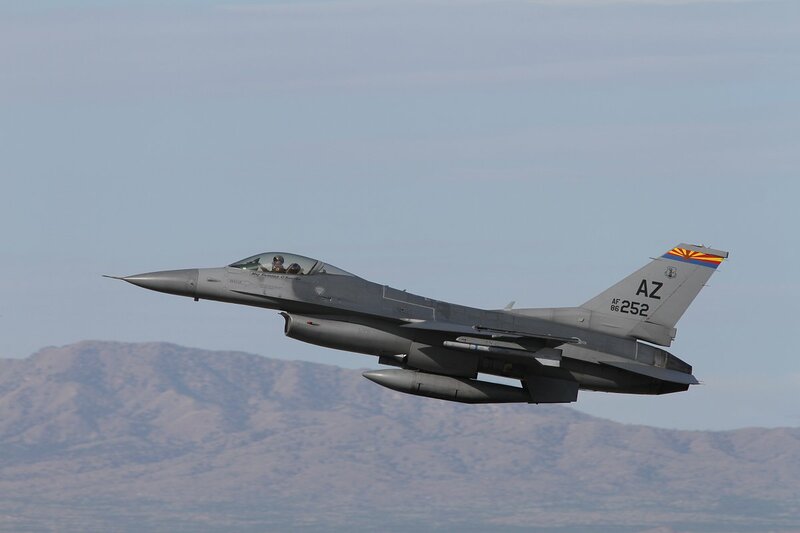 Being in this area, a visit here is almost a must do. 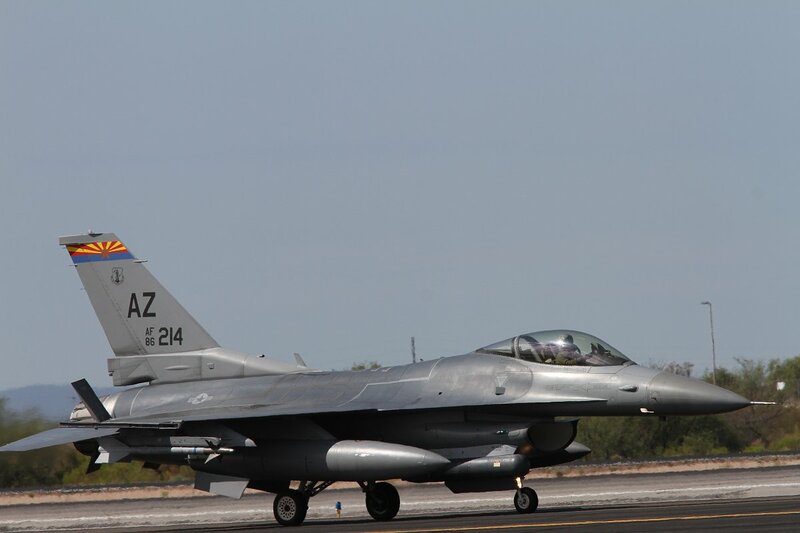 On Friday morning we choose for landing shots and on Saturday morning a couple of us went to see the F16s in their take off. 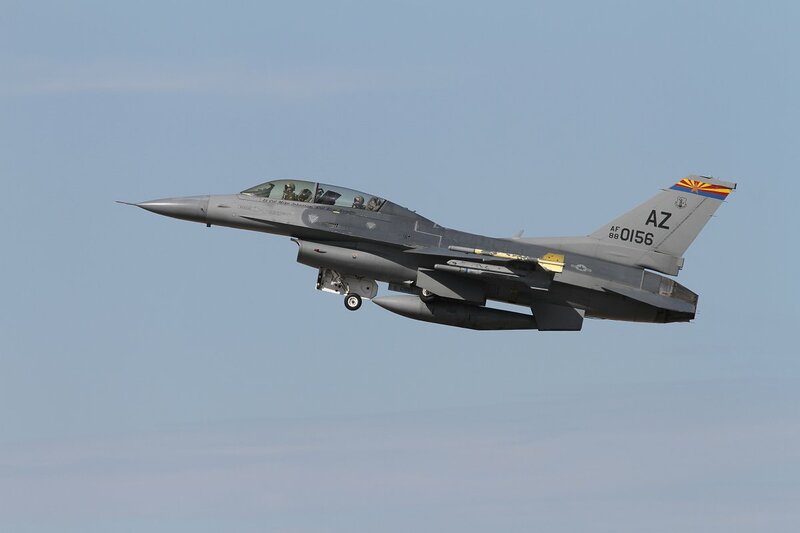 The 162nd FW performs air defense and homeland protection and is also an education and flight training unit for international F-16 aircrews. 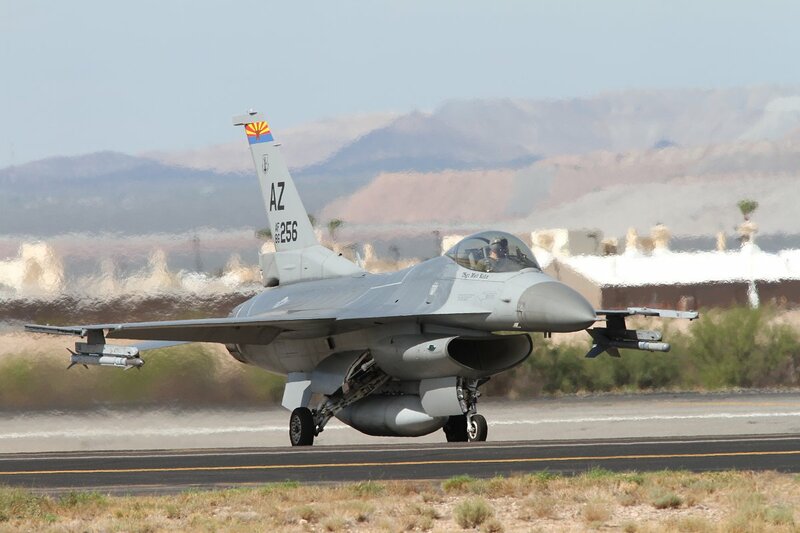 The wing shares use of the runway, security and fire control with the airport. 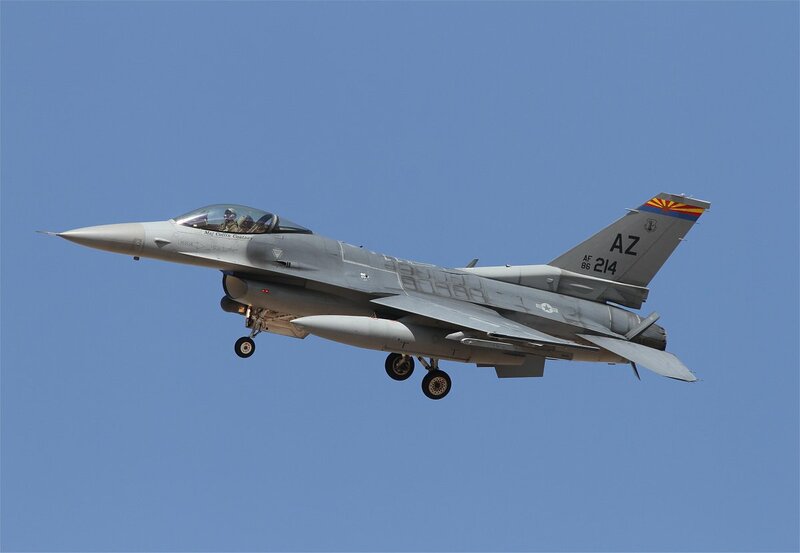 In 2004 the 162nd FW initiated a training program with the United Arab Emirates. 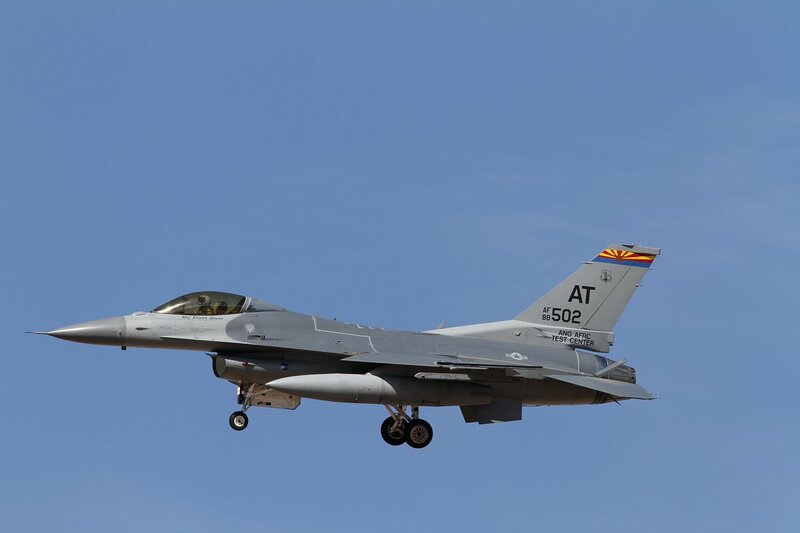 13 F-16E/F (block 60) aircraft were stationed at Tucson IAP till the end of 2010. 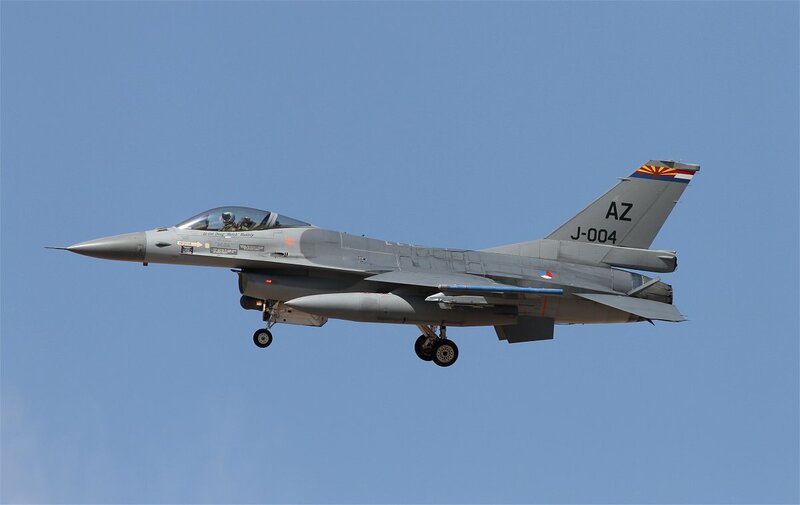 After this a training program with the Royal Netherlands Air force was set up again and since that time you can witness Dutch F-16s on training flights here. 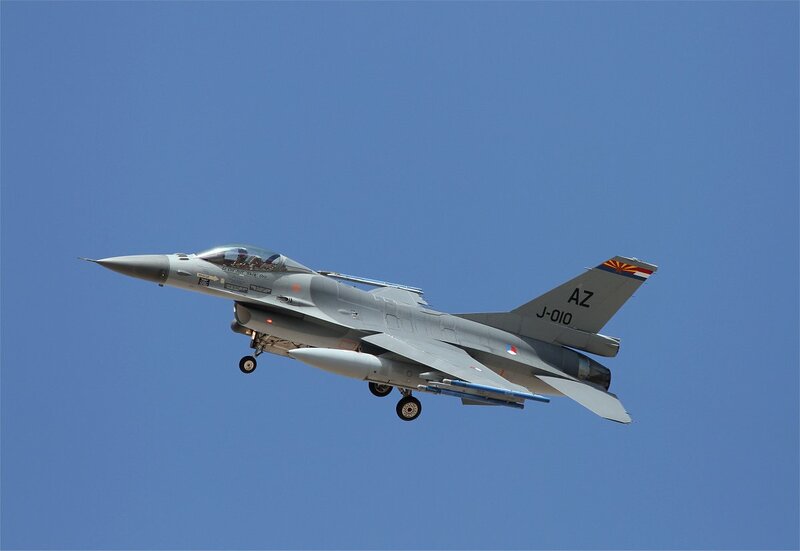 Dutch pilots were the first in a long line of international students to train with the 162nd FW. 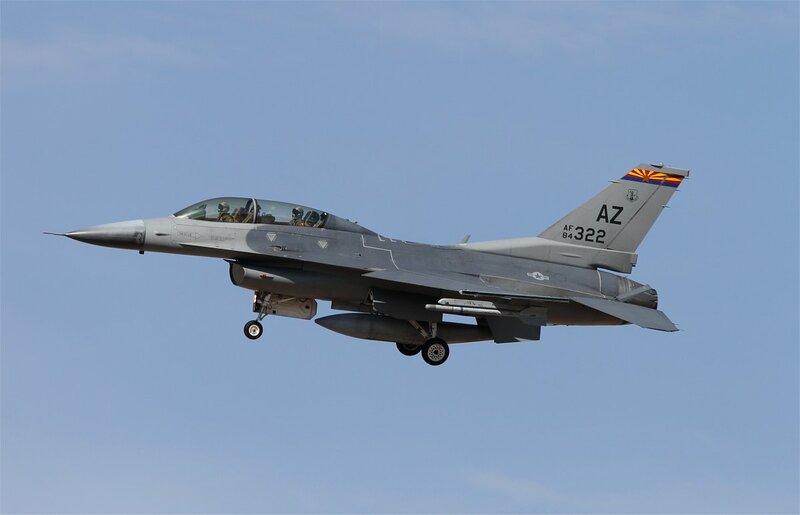 Starting in 1989, they were a mainstay program at the Arizona ANG unit for 18 years until they moved to Springfield, Ohio. 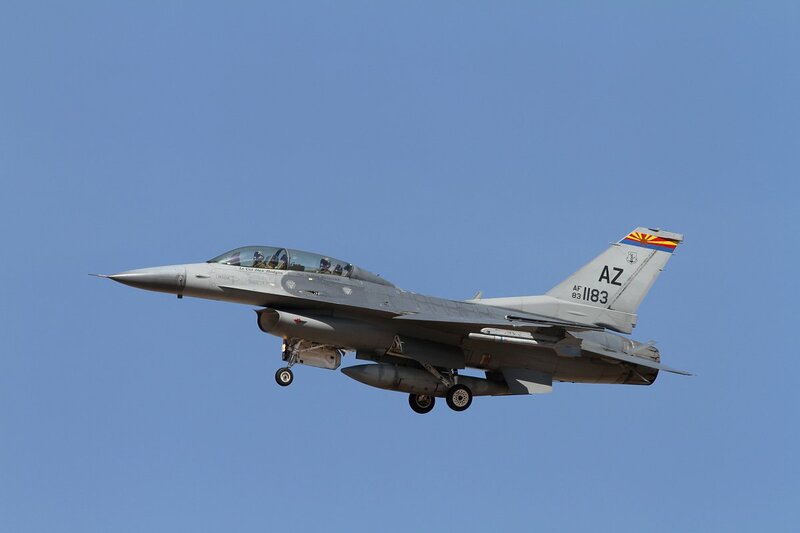 Since October 2010 they are back and resumed F-16 pilot training after a three-year absence. 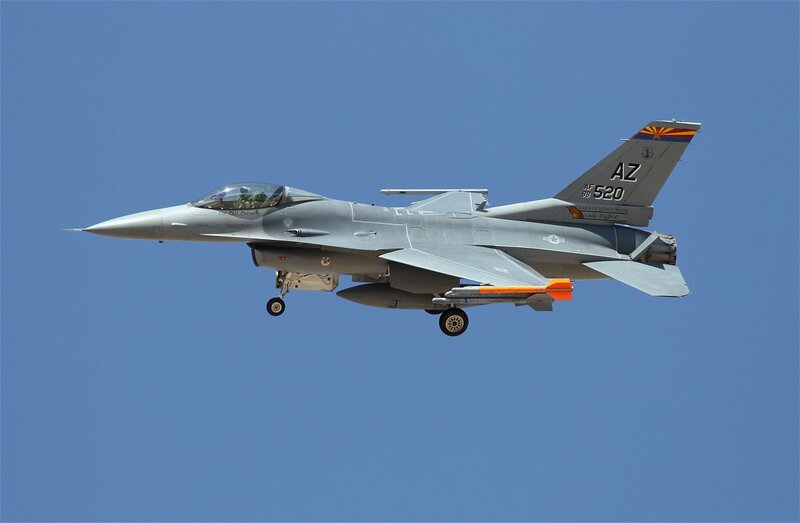 The Dutch F-16s, eight A and six B models, are essentially early-model F-16s that have undergone cockpit and avionics upgrades (so called MLUs or Mid-Life Update F-16s) that make them as capable as the newer C and D models of the 162nd FW.